Make the most of the Easter break with these simple, fun Easter crafts for toddlers. Ever feel like you’re just not a crafty type of mama? 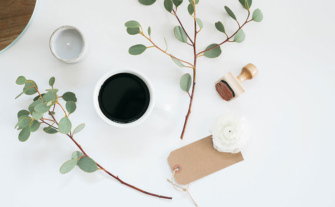 Especially when I see Pinterest packed-full of creative ideas shared by clever mamas. But my twins love craft activities – along with all the mess! 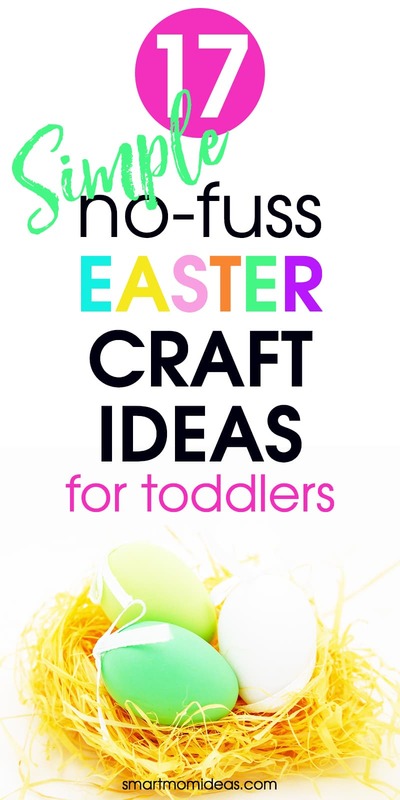 And Easter is the perfect time to get cutting, sticking, glueing, glittering, and painting with our little ones. 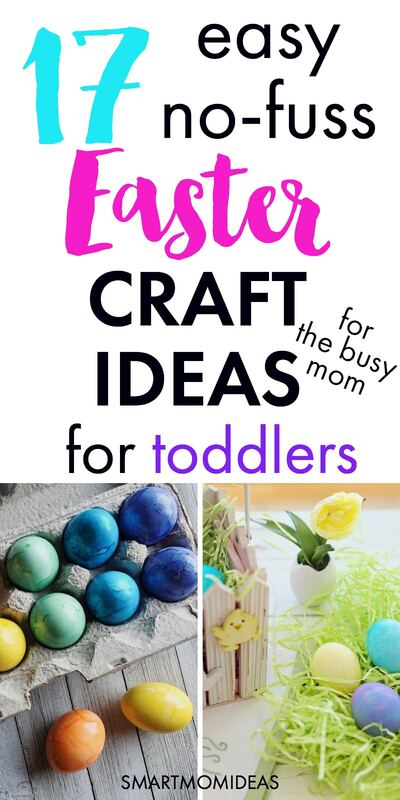 So I’ve found 17 simple, no-fuss Easter crafts for toddlers that don’t require tons of resources or skill. These crafts are guaranteed to get the whole family in the mood for the big Easter Egg Hunt. How Eggciting – sorry, I couldn’t resist! 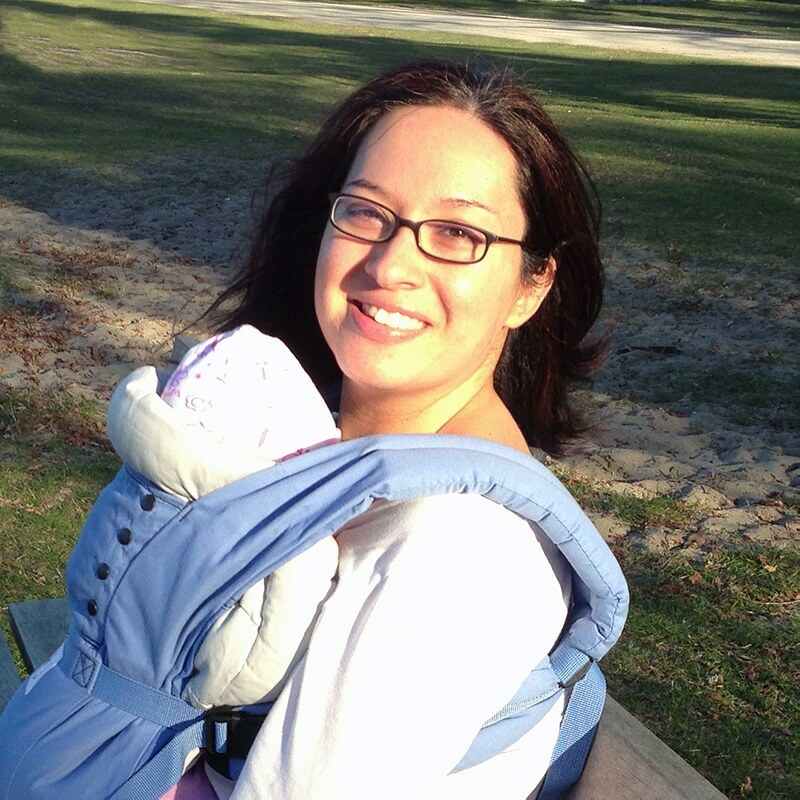 Over the past 5 years, I’ve learned that life with kids is rarely Pinterest-Perfect. And even your best prepared activities might not go the way you expect them to! The important thing is that you and your little ones are spending time together. So don’t despair if your little girl decides to do her own thing – she’s just being creative! Or if your little boy wanders off 5 minutes into your carefully planned craft activity – he’ll most likely come back to it later. Before we get into the post, make sure to grab the shopping list to make all of these crafts. No email sign up required! I had to start with this one, right? My daughter is OBSESSED with unicorns – I recently wrote about her unicorn birthday party here. So this easy, no-mess, no-stress craft from I Heart Crafty Things is perfect if your little one loves unicorns too. This Easter basket from Little Hearts, Big Love looks amazing and her instructions are super easy to follow. You can make this craft almost mess-free by using glue dots instead of liquid glue! Can I say life-saver? And because the basket is decorated with stickers, it’s a great craft for developing those essential fine motor skills. The good news is that you can totally adapt this crafty idea to other occasions too like Mother’s Day or Valentines Day. And you only need a handful of resources! It’s a great way to display kids’ works of art and makes a thoughtful gift for family and friends. Who knew crafting could be this easy? This idea from Crafty Morning is quick and easy – and I’m sure my little boy is going to love playing with that Easter grass while we wait for the paint to dry!! I’m going to make sure I add a few packs of paper plates to my cart next time I go shopping! With Spring finally here, it’s amazing to see that sun streaming through the windows. Why not make the most of it and create some pretty window art? This easy craft from Simple Play Ideas is a busy mama’s BFF. It only needs 3 resources – and they’re all reusable! So it’s perfect if you need to keep your little ones busy while you get on with dinner – or blogging. I’m going to keep these supplies on hand for emergencies! And you could easily adapt this idea for other occasions too – hearts for Valentines’ Day, leaves for Fall, snowflakes for Winter. The possibilities are endless!! This sweet idea from Simple Fun for Kids ticks so many boxes, I don’t know where to start! Because it’s great for developing scissor skills in older kids and pincer grasp in younger kids. And it’s also a sensory experience. Oh, and it looks amazing too! If you don’t want to stick it to your window, why not use a hole punch and tie some string on to make an Easter sun catcher? Amongst the Easter Eggs, baskets and bunnies, you might want to take time to talk to your little ones about the real reason we celebrate Easter. And this craft offers the perfect opportunity. You only need 3 supplies – and it’s great for all ages of kids. Phew!! If you don’t want to stick it to your window, why not try this craft alternative from Happy Home Fairy. Ok, mamas. This craft wins for being the easiest craft ever! You’ll need some more paper plates – can you believe how much stuff you can make with paper plates? This Easter toddler craft is a more colorful version of the Bunny Ears Hat above. But it’s just as easy. And I know my twins will enjoy choosing the colors and tickling each other with the feathers! Little ones will need help cutting, but older ones can practice their cutting skills. And they could add cute sequins or beads if you stick on some clear contact paper for them. You only need a few supplies to make this cute craft from The Best Ideas for Kids. And your little ones will be able to play with the bunnies once they’re done making them. Double win! This idea from The Pinterested Parent could easily be adapted to other occasions – Valentines’ Day, Thanksgiving, Christmas. Be sure to put down some newspapers before you start all that glueing! If you don’t have the energy for a big tidy up, you could cover the Easter egg shape with contact paper instead. Now you just have to decide what color construction paper to use! Can you believe how cute this one looks? This pretty paper wreath from The Resourceful Mama will add some Easter fun to your home decor. It might require a bit of forward planning, if you don’t have an older child to help you cut out the egg shapes. But that’s an easy job you can do while you watch your favorite Netflix show, right? I’m a sucker for those wiggly eyes, aren’t you? This easy craft from Crafty Morning can be adapted to other occasions too – she’s got ideas for Thanksgiving and Halloween! And you can turn these chicks into cute cards for friends and family. So stock up on wiggly eyes, glue, card, and popsicle sticks and you’ll never be at a loss for something to do with the kids! This activity from No Time For Flashcards is PACKED with learning opportunities!! You can talk to your toddlers about the names of colors, how to make different colors by mixing paints, and develop those all important fine motor skills. And you can turn them into adorable cards for friends and family – I can’t wait to try this one! OK, this is a messy activity – paint AND glitter! But this activity from Hands On As We Grow looks so fun. And it’s sure to keep your little ones busy for ages. If your toddler still likes to stick things in their mouth, why not try using a cam of squirty cream instead of shaving foam? You’ve probably already got all the resources needed for this easy craft from Crafts On Sea! And she shows us how to adapt this idea to create a sponge printed chick perfect for making Easter cards. My twins would love this craft from Playground Parkbench. They are old enough to start doing some simple details and using this sponge paint activity is perfect for their little hands. 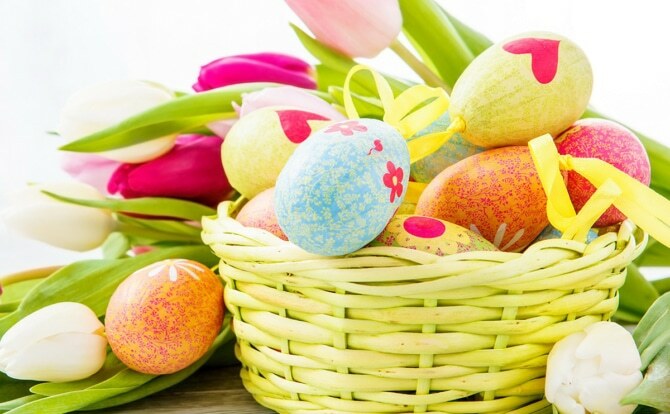 Once you’ve got all the Easter baskets, cards and decorations sorted, you’re ready for the big Easter Egg Hunt! Got to start with the eggs, right? Using hinged plastic Easter eggs look hardwearing and come in a variety of colors. If you’re organizing a hunt for mixed ages, you could divide your egg hunters into teams and tell them to look for a certain color of egg. Don’t forget your little Easter basket and you get extra brownie points if you you can use it year after year. They come in blue or purple – and I just know my twins are going to go crazy for that cute pompom tail! Bring a smile to your little ones’ faces with a super cute bunny costume for dad. Make sure people know you’re getting the Easter party started with some cute wooden signs. Using a vintage style jute banner is perfect for your Easter party. The rustic, farmhouse style is so chic and the bright letters make it kid-friendly. I can’t wait to put up a few of these! Give little ones a head start in the Easter egg hunt with some adorable signs and clues. The older children can read them and help the little ones find their Easter eggs! Make Easter ‘eggciting’ with an egg dyeing kit that’s sure to be a hit in the house. I like to use these eggs to dye as a safe and easy set up for this project! Phew! That’s a lot of sticking, gluing, cutting, and glittering! I hope that these simple Easter craft ideas inspire you to have some fun with your little ones this Easter. Now it’s your turn – which one of these crafty ideas are you going to do first? Make sure to pick up your free shopping list to make all these adorable crafts. No email sign up required!